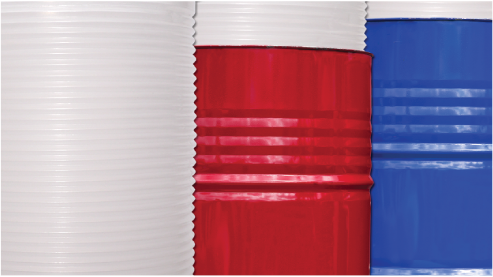 The VALULINER TM product line from New England Plastics has been used in a broad range of industrial and manufacturing applications. New England Plastics manufactures our own ValuLiners and can also custom manufacture liners in any number of weights and wall thicknesses from 8 mil to 30 mil or more to meet even the toughest requirements. ValuLiners are also available made from materials which qualify as electrostatic discharge protective. Contact us to find out more. In today's manufacturing plants and industrial facilities, you need to be both financially and environmentally responsible. That's why New England Plastics created the VALULINER TM a sensible, cost-effective, and environmentally friendly method for storing, mixing, and processing liquids, pastes, and powders. VALULINER TM is a rugged, form-fitted plastic liner which is thermoformed from FDA-approved polyethylene. It features seamless construction, thick and evenly constructed walls, and a heavy contoured bottom. VALULINER TM provide an extra level of safety, reliability and protection, especially when used for dense or viscous materials. We can offer solutions for your industry.